Most claims adjusters like to think of themselves as business professionals. After all, they show up to an office each day and handle files that can sometimes have serious outcomes. While this is certainly true, if you ask whether or not they work in the customer service industry, they’ll often deny it. Why? There’s a sort of stigma that comes along with customer service. Many people feel that it makes their careers seem less important or prestigious. Some even wrongly believe that the title puts their job akin to bill collectors and cheesy phone sales reps. But the truth is that working in insurance claims is very much a part of customer service. After all, an adjuster is offering help to a member of the public with a very specific situation. It is important to remember this fact each time you make contact with policyholders and claimants. Here are a few reasons why good old-fashioned customer service basics matters in the claims industry. Auto insurance is a tricky thing for most consumers. It’s not tangible. You can’t hold it in your hand like an apple or even drive it around like a car. And it certainly doesn’t provide a service that you utilize enough to see results—like the garbage collector who picks up your refuse on a weekly basis or the landscaper that mows your lawn. So, when most people write out a check for their insurance premium, they wonder what exactly they are paying for. The answer? You. Someone to help them navigate through the inconvenience, trauma, and aftermath of having an accident. A dedicated claims adjuster is the tangible “thing” clients are spending money on each month, and the level of good customer service that you provide matters. Part of providing excellent customer service as a claims adjuster includes anticipating customer needs and offering friendly guidance. Most people who’ve just been involved in an accident don’t exactly make a habit of it. They may not know what comes next or even how to proceed further. Some may not even understand how their coverage works or really how insurance can help them. Be patient. Calmly and clearly walk them through the process, letting them know what to expect moving forward. Explain policy coverage in a clear, concise fashion and minimize the use of jargon. Also, don’t forget to provide enough empathy to make them feel like they aren’t just another addition to your workday list. We’ve talked about why it is important to provide policyholders with outstanding customer service while handling their case, but what about claimants? This is where things get really good. You see, as a representative of your company, you are showing that third-party how smoothly things work if they were to switch to your firm. Think of it as a free preview to check out your company and decide whether or not they want that sort of service in the future. For carriers that base employee and adjuster raises, profit sharing, and bonuses on the total number of policyholders they have, this can make a huge difference to you personally. There’s an old saying that if you wouldn’t want your grandma to hear it, you probably shouldn’t say it. This still rings true for insurance claims adjusters. Imagine your grandmother or other loved on was on the other end of the line. Would you want them to experience friendly, helpful service? Would you want things taken care of promptly so they didn’t have to wait for repairs, settlements, or even a rental car? Of course you would! So, why wouldn’t you offer the same level of service to everyone else? 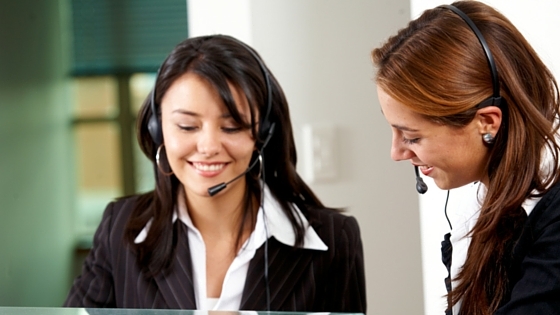 Customer service matters in claims for a wide range of reasons. However, the most important aspect involves you being an ambassador and representative of your company. Keep this is mind the next time a new file comes across your desk.